Midwest Wheelcover and R & R Tire - 7-1/2" DIA. Home > Size > 7-1/2" DIA. 1695a, CENTER CAP USED, 89-93, DODGE, PICKUP, VAN, RAMCHARGER. MACHINED, BLACK CENTER, RAISED RAMS HEAD, ENGRAVED WORD DODGE DIVISION, 7-1/2" DIA. 1695b, CENTER CAP USED, 89-93, DODGE, 100,150 PICKUP, VAN, RAMCHARGER. POLISHED, BLACK CENTER, RAISED RAMS HEAD. 5 METAL CLIPS. 7-1/2" DIA. 2215b, CENTER CAP USED, 17", 04-11, DODGE, 1500 PICKUP, BLACK PLASTIC CAP, 5 LUG NUT HOLES, ETCHED RAMS HEAD, HELD ON BY LUGS, 7-1/2 DIA. 2215b, CENTER CAP USED, 17", 04-11, DODGE, 1500 PICKUP, BLACK PLASTIC CAP, 5 LUG NUT HOLES, ETCHED RAMS HEAD, HELD ON BY LUGS, 7-1/2 DIA. A= SPARKLE SILVER. 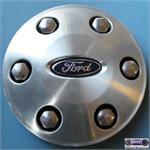 3175b, CENTER CAP USED, 96-98, FORD, TAURUS, CHROME, FORD OVAL. BLACK CLIPS, WIRE RING, 7-1/2" DIA. 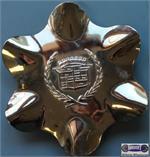 3175b, CENTER CAP USED, 96-98, FORD, TAURUS, CHROME WITH FORD OVAL. WITH BLACK CLIPS AND WIRE RING, 7-1/2" DIA. 3176b, CENTER CAP USED, 15", 96-98, MERC, SABLE, CHROME PLASTIC CAP, SPECKLED BACKGROUND, CHROME LOGO, BLACK CLIPS AND WIRE RING, 7-1/2" DIA. 3556, CENTER CAP USED, 04-08, FORD F-150, MACHINED FINISH, 6 FAKE LUG NUTS, BLUE FORD LOGO, 6 LUG NUT CLIPS WITH ALIGNMENT PIN. 7-1/2" DIA. 3556, CENTER CAP USED, 04-08, FORD F-150, MACHINED FINISH, 6 FAKE LUG NUTS, BLUE FORD LOGO, 6 LUG NUT CLIPS WITH ALIGNMENT PIN. 7-1/2" DIA. FOR A 17", 5 SPOKE DULL FINISH MACHINED ALUM. ALSO FITS 3556, 3560, 3646, 3663 and 3780. 3560/3560, CENTER CAP USED,18", 04-'05, Ford, F150. MACHINED FINISH, 6 FAKE LUG NUTS, BLUE FORD LOGO, 6 LUG NUT CLIPS WITH ALIGNMENT PIN. 7-1/2" DIA. 3646/3556, CENTER CAP USED, 17", 04-08, FORD F-150, MACHINED FINISH, 6 FAKE LUG NUTS, BLUE FORD LOGO, 6 LUG NUT CLIPS WITH ALIGNMENT PIN. 7-1/2" DIA. Price: ORDER UNDER 3556 CENTER CAP FOR MACHINED. 3784b, CENTER CAP USED, 18", 09-12, FORD, F150, CHROME, TABS MATCH SPOKES, TURBINE RING, BLUE FORD EMBLEM, 4 CLIP ON LUG NUTS, 7-1/2" DIA. 4047, CENTER CAP USED, 16", 03-04, BUICK, LESABRE, SPARKLE SILVER WITH RAISED LOGO, 8 RAISES TO MATCH SPOKES , 5 PLASTIC CLIPS AND WIRE RETAINING WIRE. 7-1/2" FROM SPOKE TO SPOKE. 5143a, CENTER CAP USED, 17", 02-07, GMC, Envoy, XL, XUV, DENALI, POLISHED COVER, 6 RAISED SPOKE, RED GMC IN HEX NUT, 7-1/2" DIA. 5143b, CENTER CAP USED, 02-07, GMC, Envoy, XL, XUV, DENALI, GOLD TINT COVER, 6 RAISED SPOKE, RED GMC, HEX NUT CENTER. 7-1/2" DIA. 5416, CENTER CAP USED, 09-10, CHEVY, AVALANCHE, SILVERADO 1500, SUBURBAN 1500, TAHOE, CHROME PLASTIC CAP, BLACK BACKGROUND, 7-1/2" DIA. 6006, CENTER CAP USED, 15", OLDS, EIGHTY EIGHT, NINETY EIGHT, MACHINED FINISH WITH RED LOGO IN CENTER, 5 PLASTIC CLIPS & WIRE. ALIGNMENT PIN. 7-1/2"
6006, CENTER CAP USED, 15", OLDS, EIGHTY EIGHT, NINETY EIGHT, MACHINED FINISH WITH RED LOGO IN CENTER, 5 PLASTIC CLIPS & WIRE. ALIGNMENT PIN. 7-1/2" DIA. 6006b, CENTER CAP USED, OLDS, 88, 98, MACHINED FINISH, POLISHED LOGO, 5 PLASTIC CLIPS & WIRE RING, ALIGNMENT PIN. 7-1/2" DIA. 6011, CENTER CAP USED, 15", 92-94, OLDS. CUTLASS, BRUSHED FINISH, RED LOGO, PLASTIC CLIPS, 7-1/2" DIA.